People who are new to the concept of On Site Sewage Treatment using a Buffalo MN Septic System could use some helpful information. Good ways to get to know and understand your septic is by reading up on the subject and visiting websites like CSI Custom Septic, Inc. The EPA provides resources including a SepticSmart Outreach Kit as well as a Septic System section on the EPA website. The University of Minnesota Extension web page is full of information for MN homeowners that utilize an Individual Sewer System. 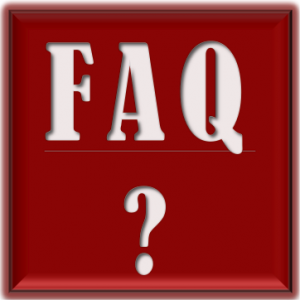 Why not start with some Septic System FAQs? How Often Should I Have the Septic Tank Pumped Out? An average family of four with 1,500 gallon tank can expect to have the septic tank pumped every 2 or 3 years. What Is The Cost For Septic Tank Cleaning? Septic tank pumping companies charge around $200 each time the tank is pumped out. Should I Use Septic Tank Additives or Cleaners? Adding chemicals or bacteria into the septic system can cause more harm than good. Human waste contains enough bacteria to begin the organic treatment process. How Often Should The Septic System Be Inspected? The EPA recommends that onsite septic systems be inspected once every three years by a licensed septic professional. What Kinds of Soaps or Detergents Are Best For Septic Tank Systems? Look for low suds detergents, or products that are phosphate free and biodegradable. Limit use of antibacterial soaps. Are Garbage Disposals Harmful to Septic Systems? Garbage disposals allow food waste to enter the septic tank resulting in more frequent pump outs. Too many food particles in the tank can slow down the treatment process or clog up the drainfield. Is It Okay to Have The Downspout Empty Near the Septic System? Water should be directed away from the septic tank and drainage field to keep them from flooding. Are Flushable Wipes Okay to Flush Down the Toilet? There have been many reports of disposable wet wipes clogging up municipal sewer systems and private septic systems. If you want to use these moist personal wipes, throw them into the trash. Is It Okay to Drive Over Septic System Components? Keep heavy vehicles away from the drainfield and septic tank in order to prevent compacted soil or damaged sewer lines. How Do I Prevent Septic System Freezing in MN Winter? Keep your septic system properly maintained, have it inspected and add insulation if recommended by your licensed septic contractor. A Licensed Septic Professional can be a great asset for making sure that your septic system is kept in good working order. CSI Custom Septic, Inc. provides quality septic services including Inspections and Repairs. For more information on these and other cost effective services, check out our convenient website. In Buffalo MN, contact Custom Septic, Inc. (CSI) at 763-218-4769 for Quality, Certified Septic Services.